“The Aurora Monsters” DVD – a sequel?? 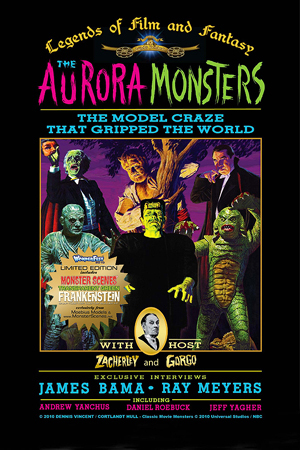 If you haven’t yet ordered your DVD of “The Aurora Monsters – The Model Craze that Gripped the World,” what are you waiting for? As we’ve been tracking the excitement of the release here at MonsterScenes.net, we once again caught up with DVD creator and co-director Cortlandt Hull to check response to this release and inquire about an unconfirmed bit of hearsay. So what’s this about a sequel DVD? So, is that a yes or a no, Cortlandt? ‘Nuff said. Again, if you haven’t gotten a copy of “The Aurora Monsters” yet, don’t wait — the future of your favorite monsters might actually depend on YOU! With the anticipation of the Vampirella kit joining the Monster Scenes lineup later this year, here’s a tantalizing tidbit you’re sure to enjoy. Few realize that the Giant Insect was introduced with the intention that Vampirella would be able to ride it. A new set of “riding legs” for Vampi was proposed but rejected for cost reasons. 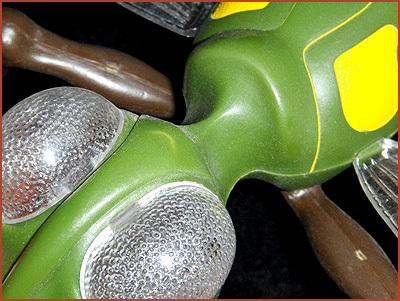 The bug was then developed to utilize the existing legs included in the Vampirella kit. Look now at the Insect’s neck and you’ll notice it is sculpted in a sort of scalloped fashion, very much resembling a sort of saddle. When you use Vampi’s “dynamic stance” legs (using leg parts 1A – 2A and 3B – 4B), you’ll find they allow her to sit atop the Insect’s neck quite comfortably. Of course, a new set of riding legs still has merit and, as such, Dencomm is taking steps to bring them to you (plus some other interesting goodies). Special thanks goes to Andy Yanchus for his creative consultation and direction here. In the meanwhile, as you eagerly await the arrival of the Vampirella kit, don’t forget to get your hands on a Giant Insect kit, too. The girl’s got to be able to get around, doesn’t she? And, when it comes to transportation, it’s plain to see that Vampirella has been “going green” for a long, long time. Previously, we shared master modeler and “mood maker” Mike Rutherford’s “Pendulum” build up. 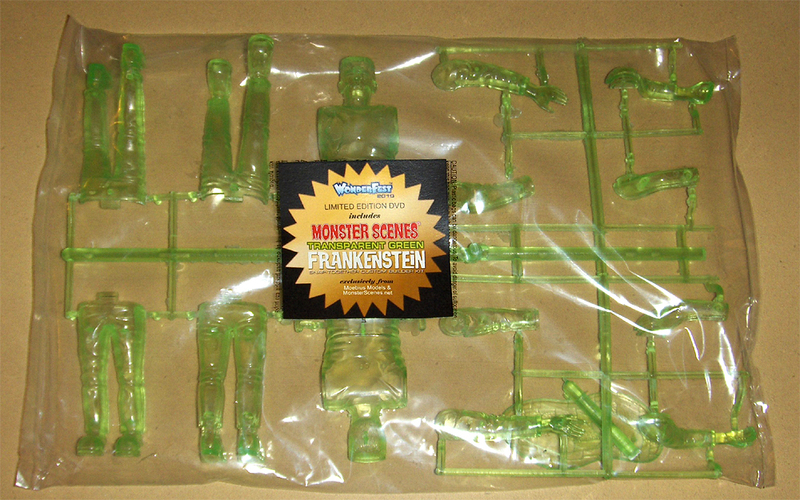 Commissioned to create the official promotional renderings of the Monster Scenes kits, Mike’s task is to bring the kits’ box art to life, onto the kit itself. Now, take a look at Dr. Deadly. Mike bestows the medical miscreant with the tainted tones that reveal the doctor’s slightly sickly pallor and clearly sinister disposition. Guess who’s visiting the dungeon. Careful, she may bite! It’s the news of the century – literally – as the one and only Vampirella rejoins the Monster Scenes lineup to make her mark in this new millennium. Fans and enthusiasts have long wondered – and worried – whether they’d ever see this classic kit again. Thanks to the diligence of Moebius Models and the insightful vision from the team at Dynamite Entertainment (that’s Vampirella’s new publisher), “Vampi” is back to take her rightful place within the Monster Scenes realm. Work is well underway to deliver an impeccably detailed Vampirella kit, faithful to the original issue from some forty years ago (and she hasn’t aged a bit, ‘natch). 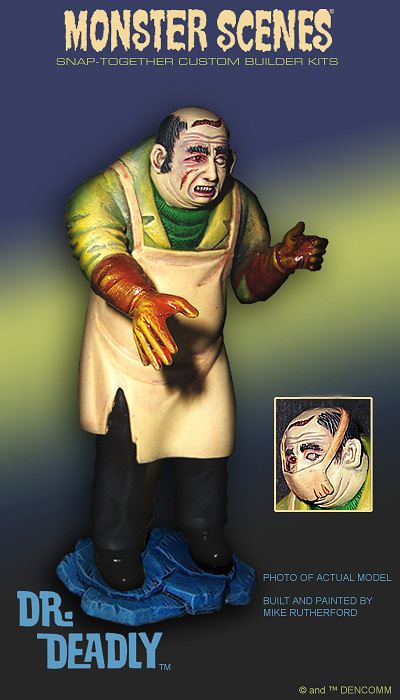 The folks here at MonsterScenes.net are proud to have provided the original kit master for the Moebius team to develop this exciting kit, officially approved by Dynamite Entertainment. Of course, we’ve gone the extra mile to help develop authentic kit packaging and instructions, too — just as you’ve come to expect. Watch for more details about her arrival, flying in alongside the similarly anticipated “Pain Parlor” and “Gruesome Goodies” kits. 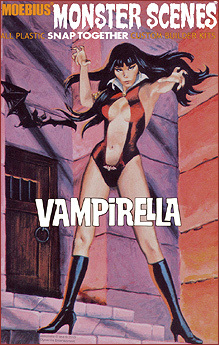 Now, take a deep breath and believe it: Vampirella will be coming soon. 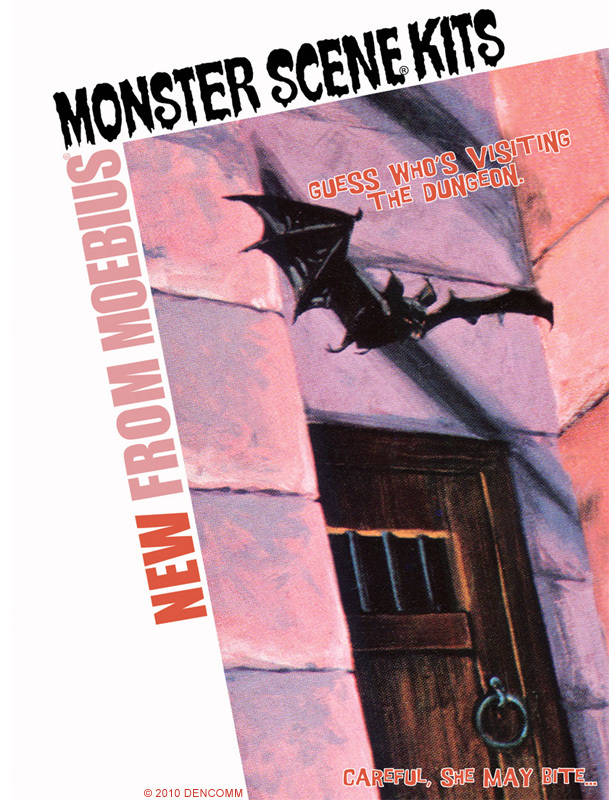 You are currently browsing the Monster Scenes Official Blog blog archives for July, 2010.